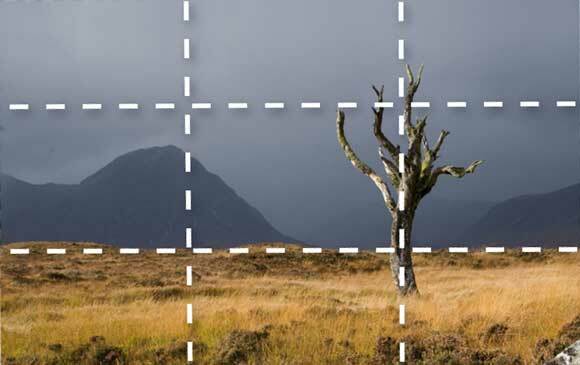 Not only does the rule of thirds provide guidelines as to where to place the strongest elements in each composition (the horizon or the body of a model, for example) but also the impact point, or point of intersect, also helps with framing of images. 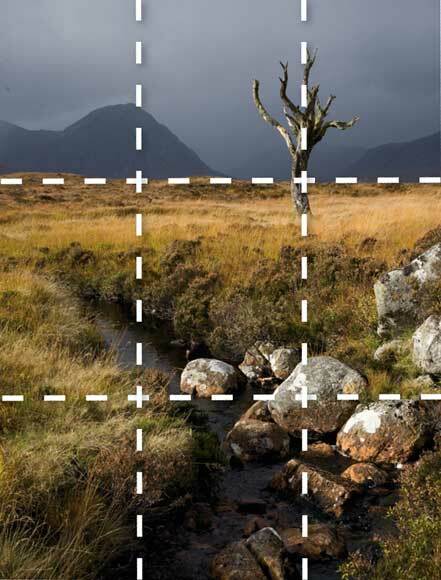 Placing a subject on one of these gives it the maximum impact in the frame in relation to other elements. For a new perspective, you can follow the more regular convention of placing the horizon on the bottom third. This gives much more sky in your image and creates a more spacious composition. 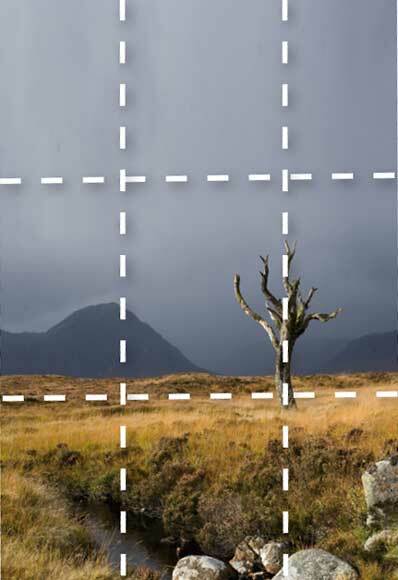 As you can see here, placing the horizon squarely in line with the bottom horizontal intersecting line, and the point of interest on the intersect, the composition has maximum impact.